Your search for "autism speaks" returned these results. We are therefore excited to announce a pledge made to 'Autism Speaks Canada' where donations will be raised through special retail promotions. 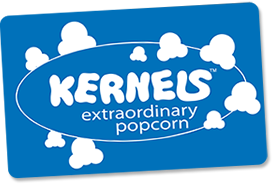 Buy A Kernels Gift Card Kernels Gift Card Virtual Gift Card Virtual Optimism autism speaks Canada Note: Gift cards cannot be used to purchase other gift cards.Limit of one (1) gift card per order.Our Gift Card Terms And Conditions Check Balance Click on the button below to log in with your card number.